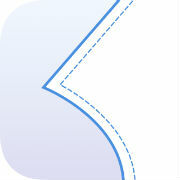 Another couple of Style Arc patterns! 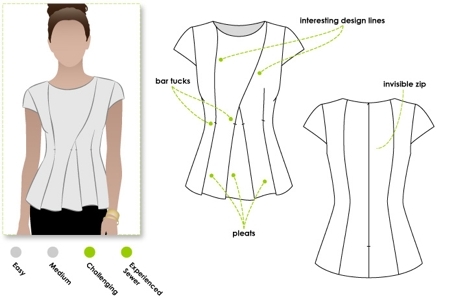 The first one is Cyd top, a peplum top with asymmetric seam lines across the front, front pleats, cap sleeves, and invisible zip on the center back. 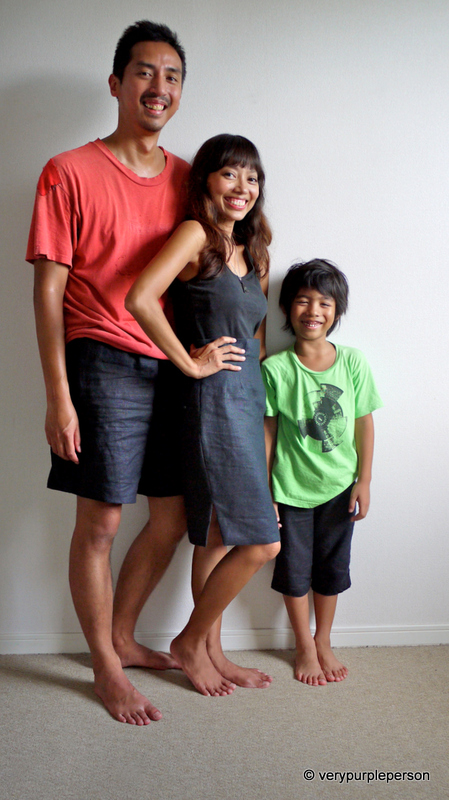 You can also make it without sleeves, or make the dress version using the Addison dress pattern. My alterations for the top are adding 2 cm around the waistline, shortening the bodice across the armhole 1 cm (and alter the sleeves accordingly), shortening the bodice around the waist 2.5 cm, and swayback adjustment 1 cm. 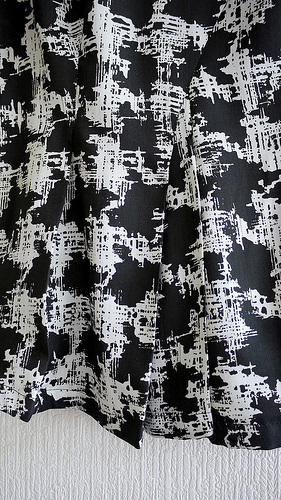 This cotton twill with black and white abstract shape print was from my stash as i wanted to use them up. 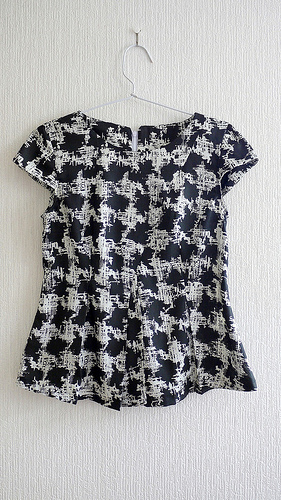 The print is actually okay but I kinda regret using the fabric for this top. 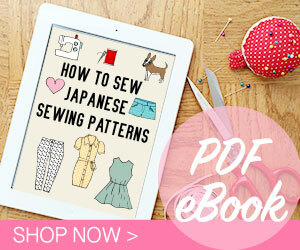 I think it is better to use fabric in solid color to showcase the interesting seamlines and front pleats. 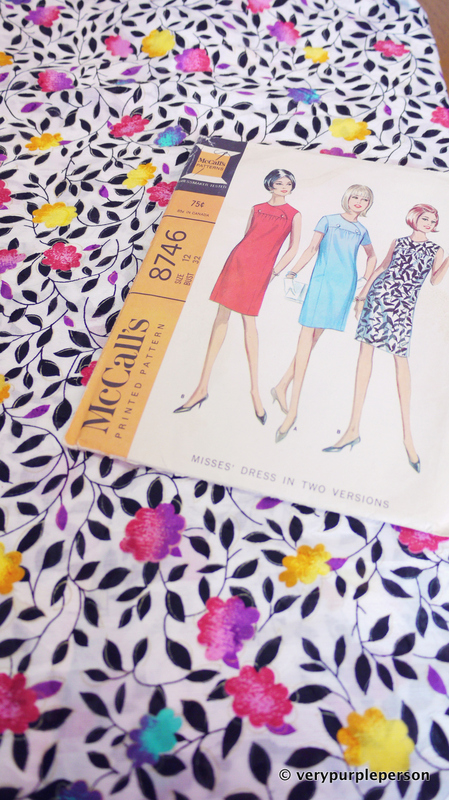 Well, maybe next time… but there are too many patterns to make! 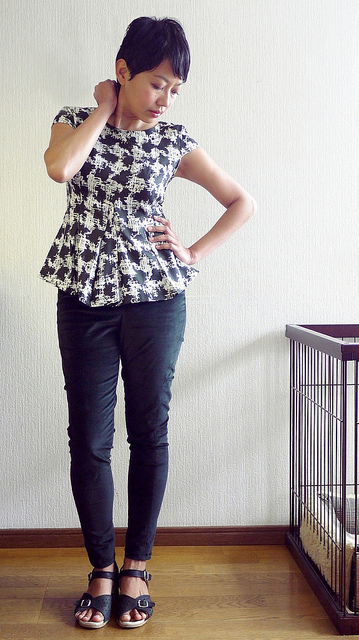 The pants are Wallis pants, the side seamlines are quite interesting as they are curved toward the front. 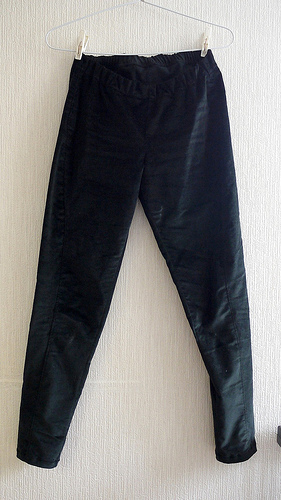 The pants have elastic waist and skinny legs. The suggested fabric is ponte but I made mine with stretch velvet and they turned out fine. 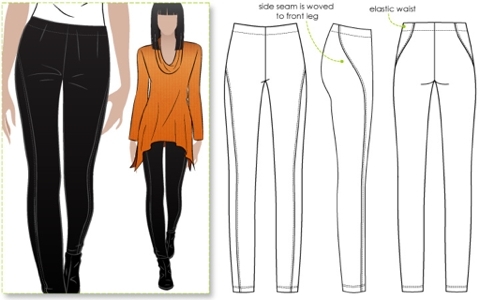 My alterations are adding 0.5 cm to each side of the waistline (total 2 cm), shortening the rise 1 cm, and shortening the legs 2 cm above the knee and 2 cm below the knee. 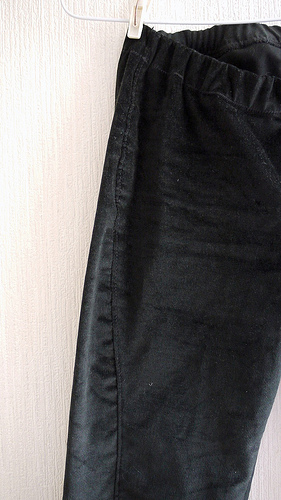 The pants were finished using overlocker except for the topstitching on the curved side seam lines. I still have no idea about about pants fitting but this pair is so comfortable, I have been wearing them a lot this week! 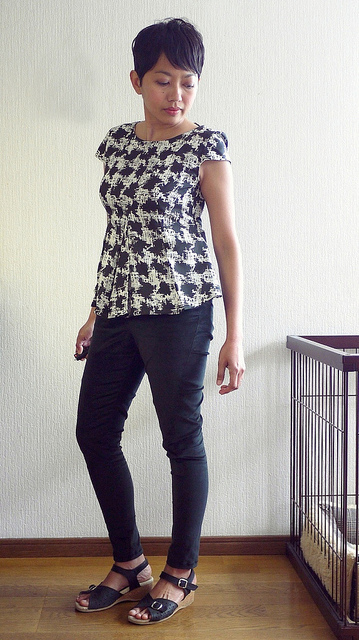 Pattern is Cyd top and Wallis pants by Style Arc, both in size 6.